Discussions about borrowing can be confusing. Bankers, lawyers and other industry professionals use terminology that is widely understood within the business but which is not a part of everyday conversation. If you have ever picked up a credit agreement or tried to evaluate a financing proposal, you may have felt like you needed an interpreter. 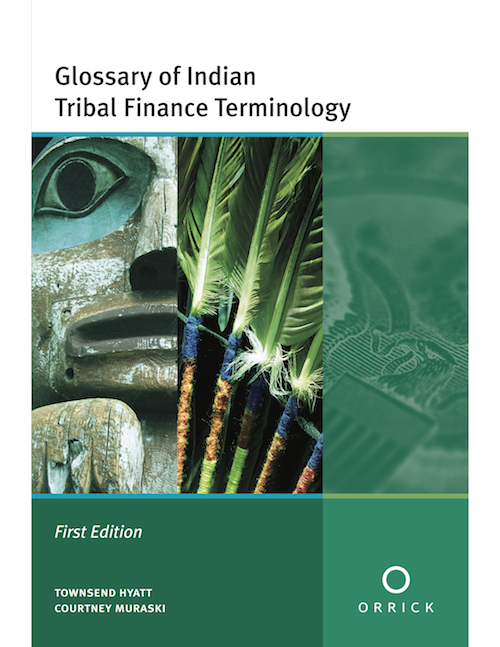 Written by Orrick, Herrington & Sutcliffe LLP, this glossary is intended as a handy reference guide for tribal leaders, finance officers, and for those who work closely with them. The guide includes general terminology specific to tribal government financing.